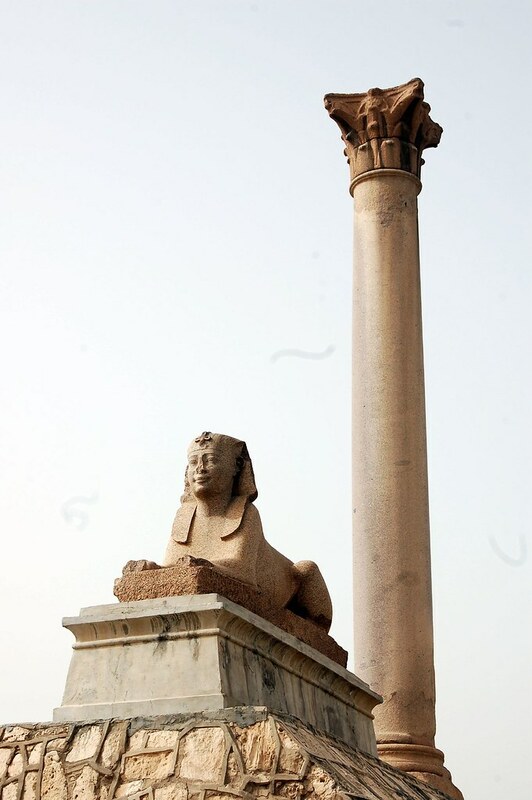 Alexandria was founded in 331 BC by Alexander the Great. It is the second largest city in Egypt, after Cairo. It has its own international airport so is easily accessible for tourists. You’ll see the contrast of old and new here, and see how the two can work together well and complement each other. The palace was used as a summer residence for the royal family. The building is now sadly closed to the public. However, the palace itself is something worth looking at; the beautiful Turkish style architecture is stunning. A walk around the beautiful gardens and forest reserve will have you relaxed and refreshed, and provide some much needed shade from the Egyptian heat. There is also a private beach here, you’ll have to pay a small fee to see the gardens and the beach, but they are well worth a visit. Deserts in Egypt are generally very sweet, and meant to be eaten in small portions. The heat here will make ice cream the perfect desert for your travels. It has a very distinct and stretchy texture. To try what is rumoured to be the best ice cream in Alexandria, try visiting Saltana’s. Its speciality- in fact pretty much the only thing they make is ice cream, and variations, such as ice cream cakes, and waffles with ice cream. Located near the beach it’s the perfect location to try some of its unusual ice creams. This was another of Egypt’s additions to the 7 ancient wonders of the world. It was the tallest man made structure for many centuries, it was unfortunately damaged by a series of earthquakes and eventually abandoned. The remains have now been built back up into The Citadel of Qaitbay. A site was built to protect the Egyptians from the Ottomans during a war. The site now contains remains from the old lighthouse as well as a beautiful mosque to visit. The aquarium here was once a castle, but has been transformed into an aquarium. It is now home to turtles and various other fish from the River Nile. You’ll also see mummified fish while you are here, which differs it from other aquariums. It’s small, but a good place to visit with children. There is also a zoo in Alexandria, however even after working with Animal Aid Egypt; the zoo still has bad reviews of the living conditions of the animals, so the aquarium might be more of a pleasant visit. This company will take you on a guided dive to see the remains of the underwater city of Cleopatra. You’ll be able to see things such as sphinxes, part of the Ancient lighthouse. This offers a very unique experience, and a chance to get up much closer to some of the ancient history of Egypt. If you’re more of a beginner they also have a 5m dive to see an aeroplane wreck from WW1. If you’re taking kids, or even if you’re just a big kid yourself, the company also offers a banana boat rides, as well as donut boats to go in. This site was discovered in 1900 when a Donkey fell down an entrance to it. This site is a series of tombs. They were used between the 2nd and 4th century AD. As well as the tombs, you’ll see Egyptian and Roman art in a room where people would sit and mourn the death of loved ones. Visiting here is a real unique experience, the rooms all have bad lighting, which adds to the atmosphere you’ll experience here, but also validates bringing a torch, and wearing wellies may also be an idea as sometimes the floor is muddy and wet- one of the floors here is completely underwater. This is a lovely beach, with white sand, with the constant heat that comes with Egypt- the beach is a very popular destination. It can get busy in the summer, so if you are looking for a more relaxing trip, I would advise the winter months. You could enjoy a nice evening stroll along it, or try some surfing in the sea. 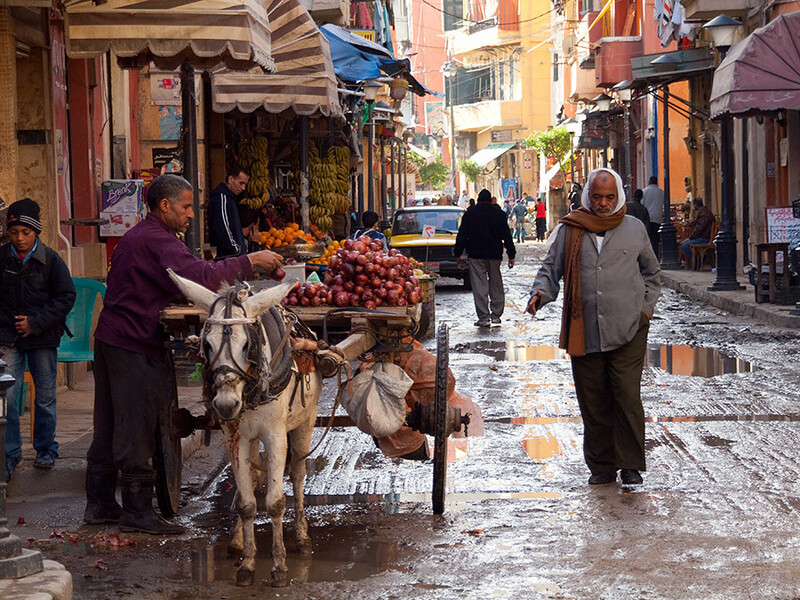 This market is one of the best insights into day to day life around Alexandria. You’ll see some craft and souvenir items to buy, but the market is mainly for groceries. You’ll see the vast amounts of fruit and vegetables, as well as fresh fish and meat. Much of the meat that is sold is still alive, which makes visiting the market a more surreal (and possibly distressing) experience. For the Egyptians here, this is a usual experience, and you’ll see them here at their finest. 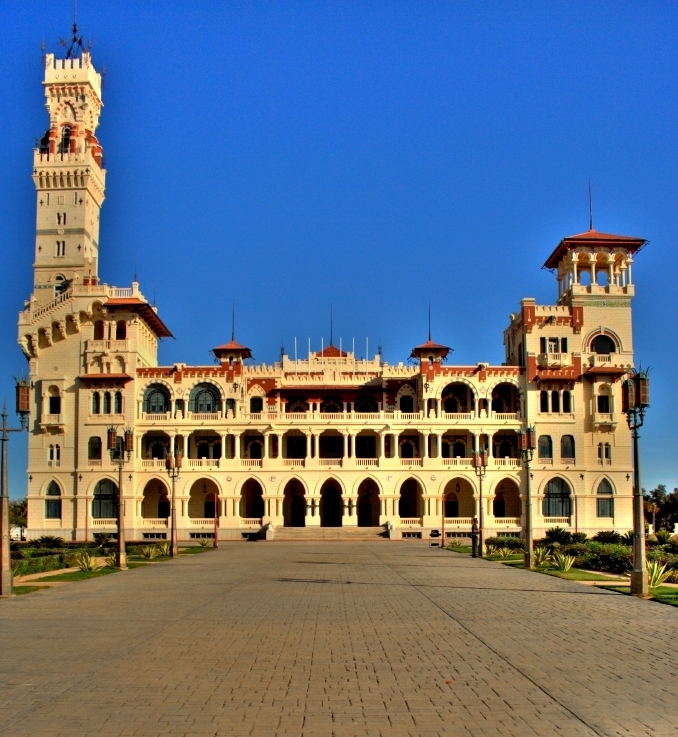 This is a 26.8m high column, and is a tourist hotspot of Alexandria. It was carved from a single piece of granite from Aswan. There are also 3 sphinxes here as well. The column is all that remains of a whole temple. The name gives the impression that the monument had something to do with General Pompey; however the monument is dated from 291 AD and dedicated to Emperor Diocletian who saved the city from famine. To add to the experience, visit at the time of call to prayer. You’ll hear it very well from here. By Emma Buttery who loves travelling as well as photography. You can find her on twitter or read her blog.